ENERGY STAR windows help you beat the heat. With hot temperatures outside, the desire for a consistently cool home becomes more important during the summer months, but this can come at a cost. ENERGY STAR certified windows could be the perfect solution to keeping your home comfortable, while saving money this summer. Four advantages to installing ENERGY STAR windows in your home. 1. You save money with energy efficient windows. Cooling your home in the summer can be costly. ENERGY STAR windows can reduce energy bills by up to 15 percent. Click here to find out the annual savings in your area. 2. 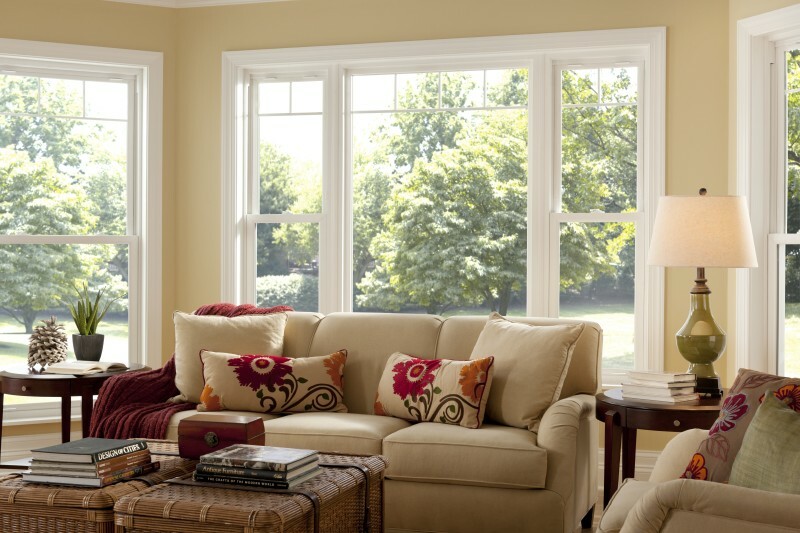 Energy efficient windows help you keep a comfortable home. Are the temperatures in the rooms of your home inconsistent? ENERGY STAR certified windows can help maintain a consistent temperature throughout your home summer after summer. 3. Energy efficient windows shrink your carbon footprint. ENERGY STAR windows can help you save money while helping the environment by using less energy, which in turn, reduces greenhouse gas emissions. Click here for energy efficiency tips to save more money this summer. 4. ENERGY STAR windows help protect your home. From drapes to wood floors to photographs – with repeated exposure to sunlight, all of these items can fade or discolor. ENERGY STAR certified window’s Low E coating is like sunscreen for your home and helps reflect damaging UV rays. For more information about our ENERGY STAR windows click here. I have 9800 series in my home. The temperature is more balanced from room to room and much more comfortable than before. I have also noticed noise reduction from the outside. That is great to hear Gary! We’re so glad that Simonton windows are helping you to be more comfortable. Thanks for sharing!